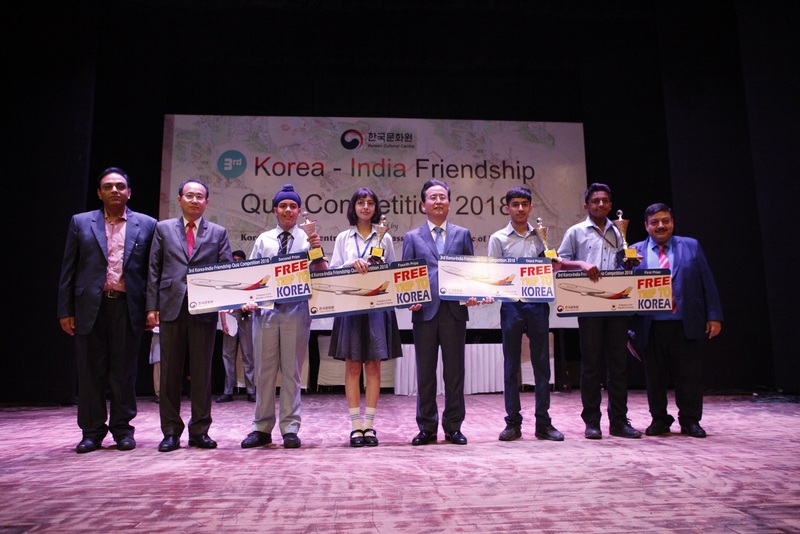 09th May New Delhi, 2018: 20,384 students from 60 schools of Delhi NCR participated in 3rd Korea-India Friendship Quiz Competition 2018 held at NCUI Auditorium, New Delhi. This initiative was taken by Korean Cultural Centre India which aimed at spreading knowledge and interest in Republic of Korea, from history to its cuisine. 24 selected contestants among 600 students in the second round got selected to compete at the final, only 08 of which made their way into the grand finale. The top 4 winners are going to a free trip to Korea for 06 days and 5 nights. 1st Winner A. Mohammed Farhaan from Shalom Hills International School, Gurgram said that he has read a lot about Korea, now he is getting a chance to experience and live his dreams. Other 4 winners going for the trip are Harshbir Singh Ahuja – Venkateshwar International School, Hanshul Bahl – Birla Vidya Niketan, Gayatri Singh from RD Rajpal School. The fifth and the sixth prize winners Shivay Vinaik from St. Marks Sr. Sec. Public School and Aadrika Goel from Salwan Public School received a cash prize of Ten Thousand rupees and Five Thousand Rupees respectively. Rest of the 18 prize winners won a cash prize which is the amount of Thirty-Six Thousand Rupees and trophies. The number of participating students has increased from 16,140 Students in 2017 to 20, 384 from 60 schools this year. 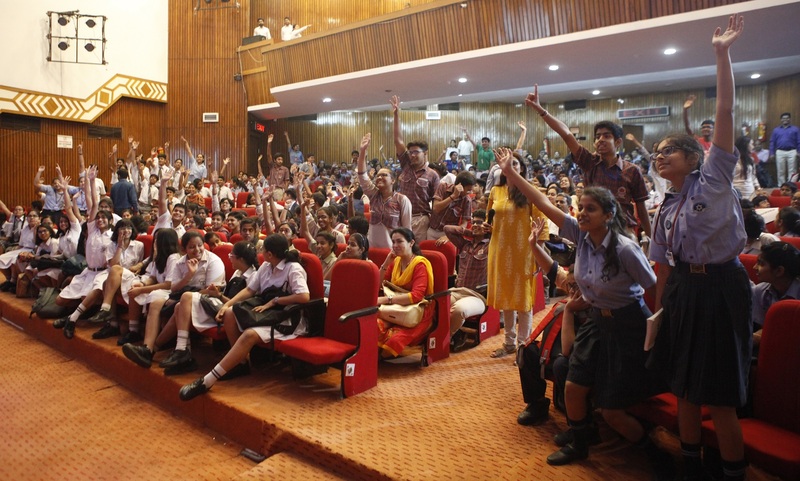 This is Delhi NCR’s largest ever Quiz Competition for school students on the international topic. 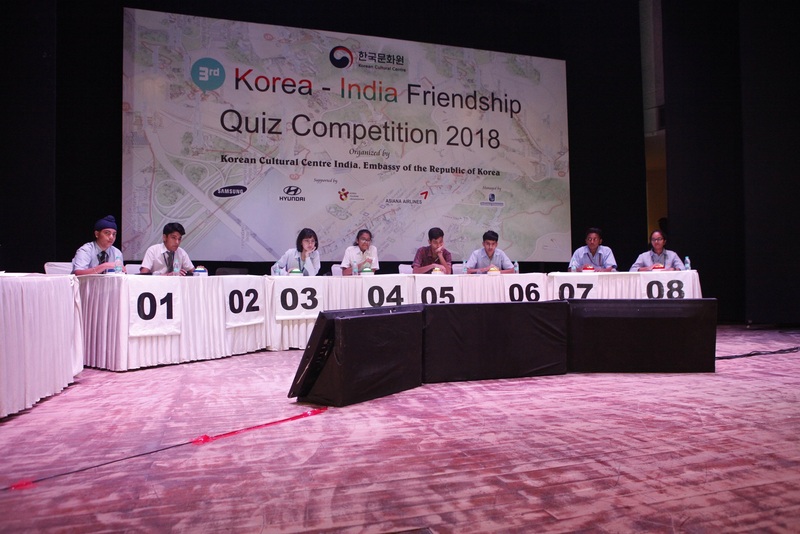 The intense final rounds showed the fierce competition among the “Korean expert” contestants, as any wrong answer cannot be acceptable on the way to win. KCCI’s Taekwondo and traditional musical performances amused the 637 students in the audience seats, along with multiple prizes including Samsung washing machine for a surprise audience quiz.